To some a dog may just be a pet, regardless of this, a dog needs their personal space, just like you and me. Building a kennel outside your home or a crate inside creates a great place to help them maintain their ‘me time’. Creating this safe space for your dog can have great benefit in multiple ways, but there is a catch. There are certain things you should know when choosing stylish dog crates. All dogs have different needs, choose the wrong one for your dog and you may get the adverse effects. If you are a new dog parent, you might not know what to look for. To begin with, in terms of material, dog crates have several varieties. There is also a diverse range of designs and sizes to choose from. So, if you are struggling, here are some ideas to make your decision easier. Wooden Crate: If you are looking for a strong and sturdy crate for your pet, this is the one for you. The handcrafted detailing makes it look modern and sophisticated. This is a very stylish type of dog crate, however, it tends to be on the more expensive side. This particular type of crate can be used for long-distance travel, however, bare in mind, it can be very heavy, so it may not be ideal for a casual car trip. Plastic Crate: Made with the combination of style and practicality in mind, plastic crates belong in the stylish dog crates category. These crates are strong and sturdy, but weigh much less than the wooden variety. They are also very easy to clean. Coming in various looks and sizes, plastic crates vary in price depending on the features. Just make sure you don’t keep the crate in the sun for too long as it will absorb a lot of heat. Soft-sided Ones: Soft-sided dog crates are made with fabric which can be folded and very easily carried. This can be very comfortable for the dog as it is also well ventilated, keeping them cool. The down side to this is the fabric material cannot work as a shelter in the rain and snow. It can also be a little tedious to clean. Being soft sided, this crate is not approved for most airline travel. 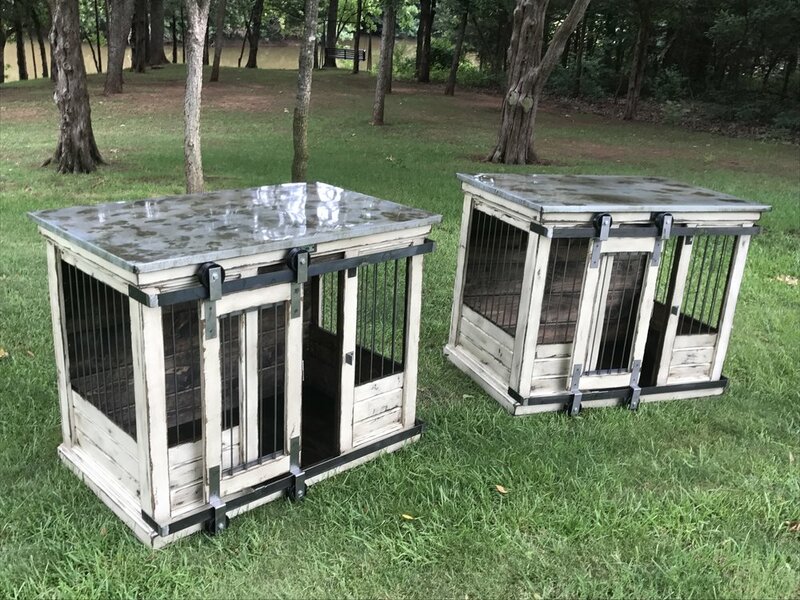 Based on your needs and preferences, you can choose the perfect crate for your dog just by consulting the experts at Kennel and Crate. They will help you find the best crate for your pet at an affordable price.